Kim's Convenience fans! Heads up. If you're in Los Angeles, come join us for a conversation with actor, writer and producer Simu Liu, who plays Jung on the hit Canadian sitcom (now available internationally on Netflix). He'll be talking about his breakthrough role, the insights he's learned on his unique journey to Hollywood, and the future of Asian Americans in film and television. I'll be serving as moderator for the evening. With the record-breaking success of "Crazy Rich Asians," an Asian-American story has emerged into the international spotlight and has captured the world's attention. While a victory for greater representation in popular culture, this moment presents a challenge to the Asian-American community to build upon this achievement. Simu Liu is a rising young actor, writer, and producer from Toronto who is best known for his breakthrough role as Jung on "Kim's Convenience," and he recently starred in Wong Fu Productions' miniseries, "Yappie." 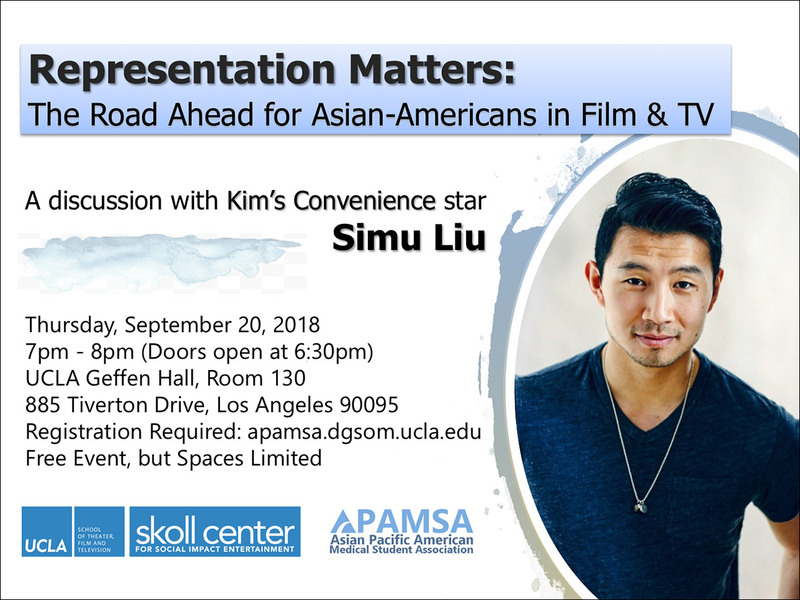 In this moderated Q&A session, Simu hopes to share with the UCLA campus the insights he has learned from his unique journey towards Hollywood, and provide perspective on the future for Asian-Americans in film and television. This is going to be fun. The event is free, but you have to register here. For further information, go here.